We’re still alive and slowly winding our way home. The aches and pains of an honest day’s work are finally fading. New York City was great. I saw the UN and went to a fancy event at the University Club (the membership roll lists Rockefellers and Grinnells). Visiting family in Maryland New Jersey was nice. 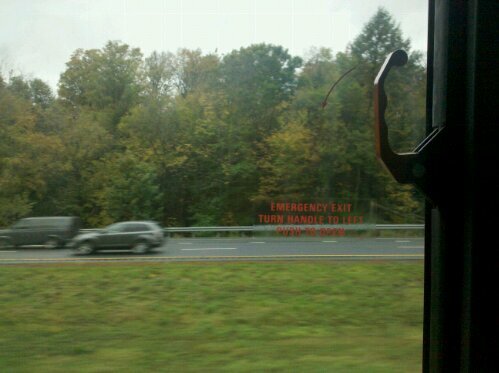 Now we’re on a bus rolling through rainy weather on its way to Rochester. We have a wedding there. Later we’ll be on the West Coast. Wedding there, too. Eventually, I hope, we’ll be back in Los Angeles. Still a few weeks to go. We’re in Rome! Our trip through Europe is almost complete. After a few days of sightseeing, on the 21st we fly back to the United States to begin a month-long, welcome back lap of the country (two weddings (one on each coast) and parents and friends to visit in four cities). Then, real life again. But first, bella Roma. Tonight we stumbled upon the Trajan column, which holds special relevance for the typography nerd in me. The lettering chiseled into the marble at the base of this column is the basis for a typeface (designed by Carol Twombly and named, appropriately, “Trajan”) which has become omnipresent. It’s often used on movie posters (Armageddon, Letters to Iwojima, etc, etc). We studied those letterforms, tracing and replicating them freehand and learning about their ratios, in preparation for making our own typefaces. Mark this one up to “cultural differences.” In Italy they don’t really have “pie” in the sense that American’s typically understand it. 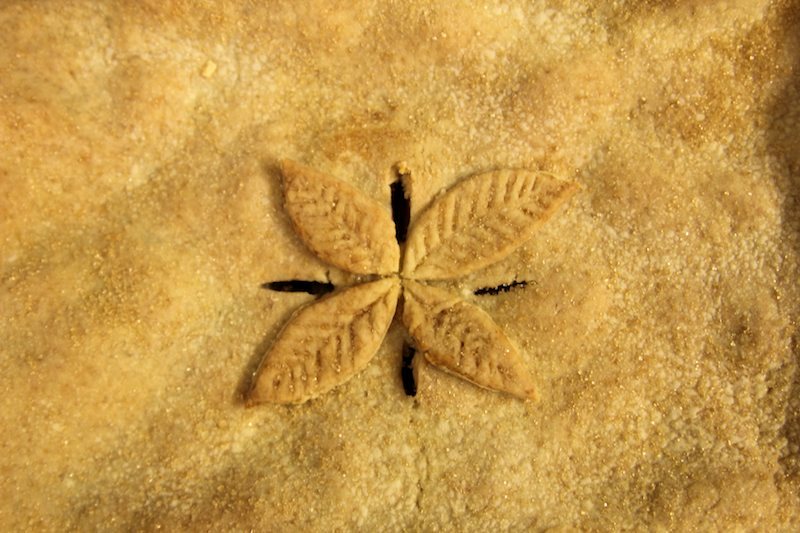 That is, the round, large pastry with a butter-based crust and filled with fruit or other filling. 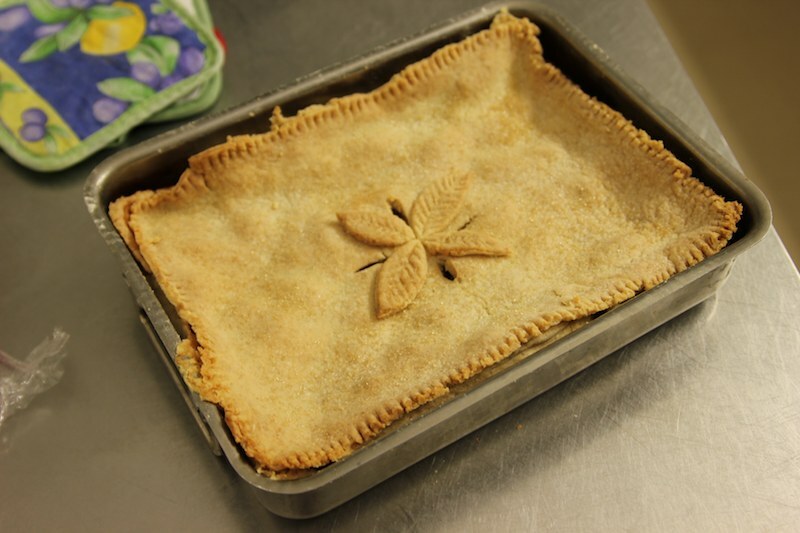 So, when it came out that I knew how to make apple pie, and they asked me to make one, and I agreed, we hit an early snag: they had no pie tins. A search revealed no container of any material that could be described as “pie shaped,” and this is a place with a professional restaurant kitchen. So, we improvised, and I made a square pie. With all those apples, sugar, and nearly two pounds of butter in there, I think the shape probably doesn’t matter too much. What is most important is it received the Halbe Thumbs Up Seal of Approval™. 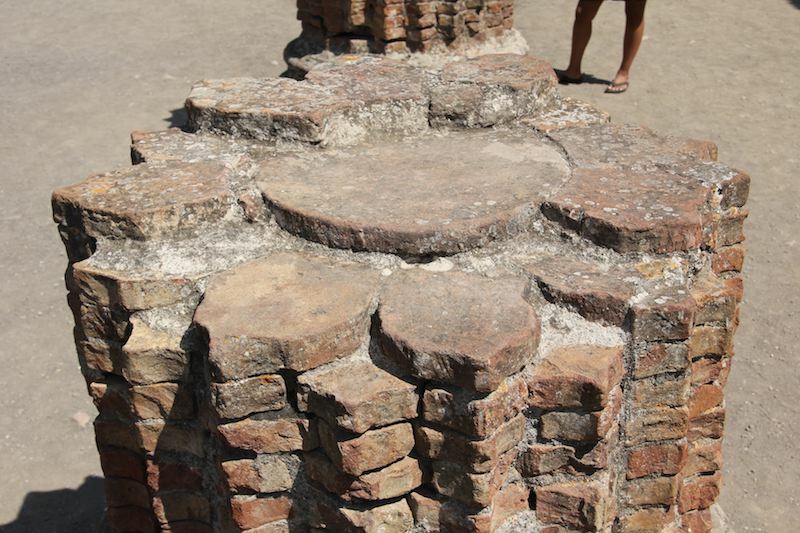 I’m fascinated by Roman ruins. While in England, I seriously considered driving eight hours to go see the chest-high remnants of Emperor Hadrian’s wall. I’ve snapped many photos of distant crumbled piles of stone, told that they were of Roman origin. When we changed trains in Rome, from our seats I could see an old dome and a piece of the aqueduct. This made me giddy as a child. But walking the streets of Pompeii, the best preserved of all Roman cities, is a magical experience that left me in awe of those ancient people. It’s difficult for me to pinpoint my interest in Roman times. There’s the schoolboy fascination with superlatives: biggest civilization, biggest army, most land, most cultural influence, etc, etc. Which is why Pompeii is an incredible place. Simply put, you are there. The roads and walls, the art and advertisements — they all stand today, near identical to their appearance at the height of the Roman empire. A walk down their roads is a literal walk through history. 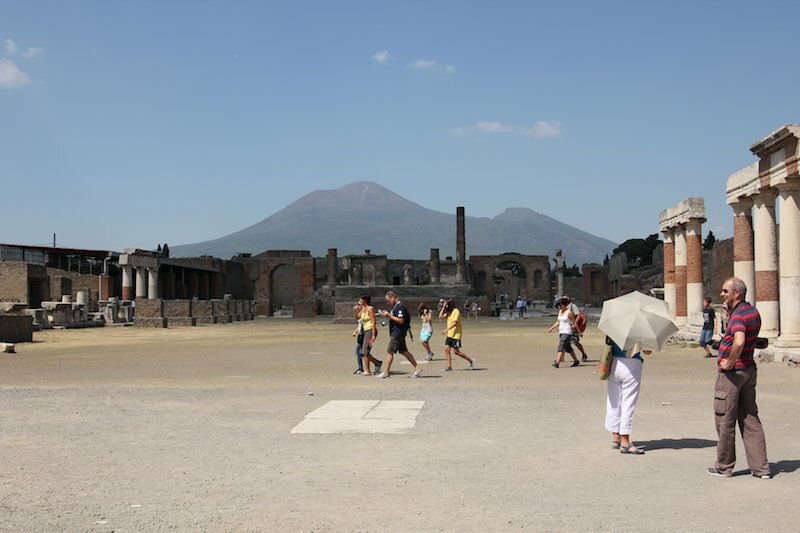 Pompeii was a mid-sized, “average” Roman city in 79 A.D. One morning in August, the volcano Mount Vesuvius blew open, burying the city in hot ash and embers. In the picture below, connect the two sides of the mountain in the distance to form a triangle. That’s what Vesuvius used to look like. Of the 20,000 that lived here, 2,000 didn’t make it out in time. They, and their city, were locked away beneath this ash until the 1700’s, completely untouched by the centuries of weather, war, and invaders that destroyed nearly every other city from this time. 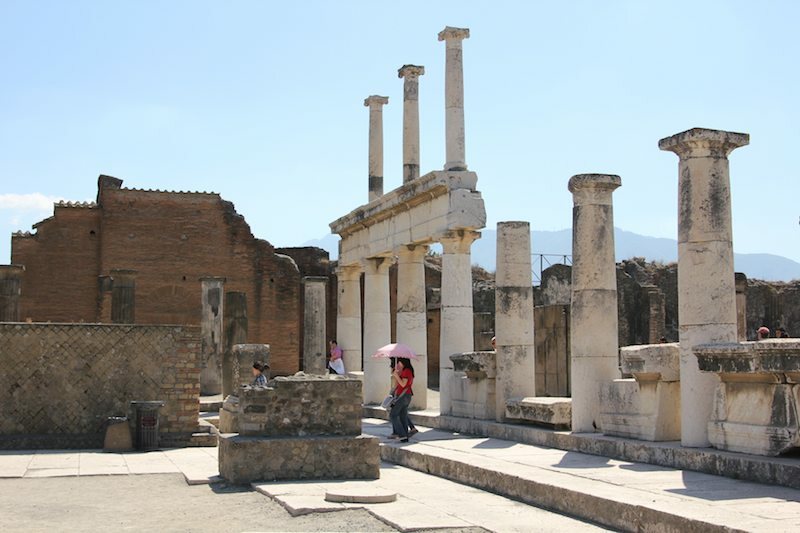 Excavations began in the 1800’s and continue to this day (a quarter of Pompeii has yet to be excavated). At the front gates, there are hooks to tie up boats, though the sea coast is now a mile away. Two-thousand years of silt build up and tectonic movements are responsible for that. The main plaza has city hall, a courthouse, a temple to Jupiter (the main god), and a market hall. The four main elements of Roman life are represented: government, justice, spirituality, and commerce. Citizens voted here and this is where the two main roads out of town converged. 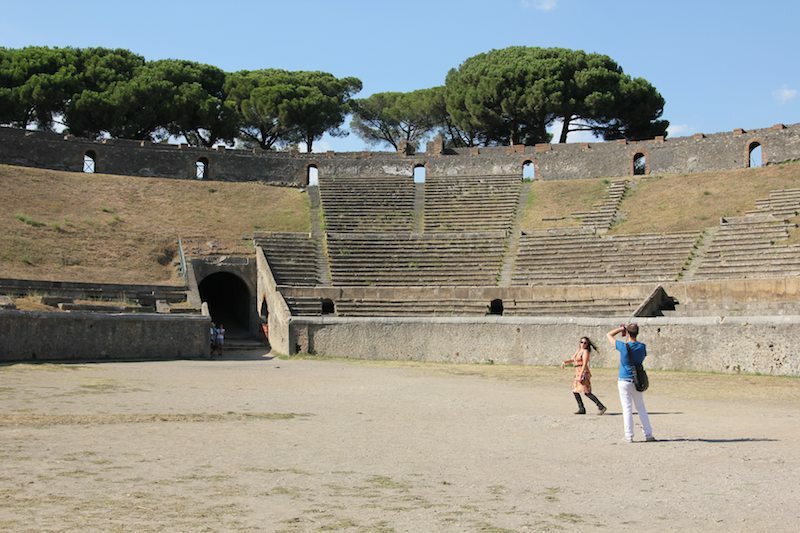 We followed Rick Steves’ walking tour of Pompeii. It seems to be a popular one (we saw several copies of his book there), so you may have heard of a few of these sites. High sidewalks run along roads paves with basalt. In some areas, the roads have flecks of white pottery embedded in them, to aid those traveling at night. The roads are flooded with water to clean them, so raised stepping stones are used at intersections for pedestrians to cross the road. 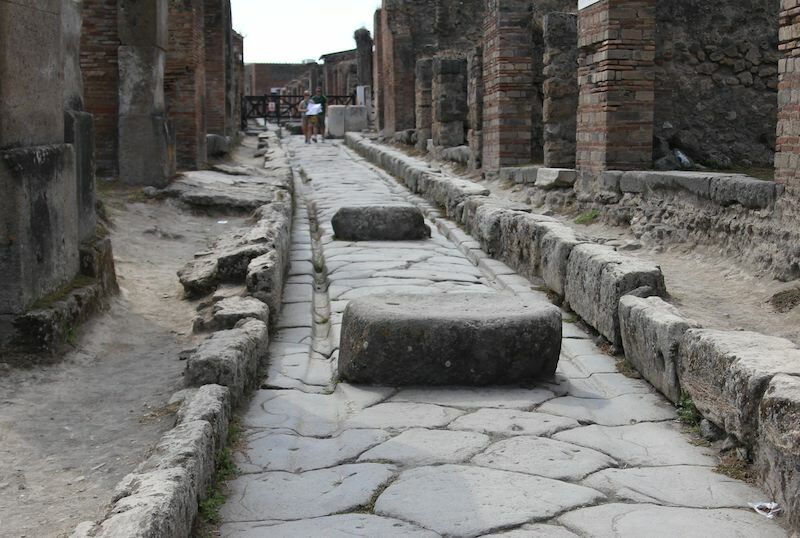 These stones are a standard width, to accommodate chariot traffic, which used had a standardized axel size. The DMV has ancient roots. This also boggles my mind. Chariots! Like in Ben-Hur! Two-thousand years ago, and this massive empire had a central chariot axel authority. Who thought of this? Who enforced it? There were probably chariot inspectors who worked middle-management jobs in government their entire lives. Not emperors, but not slaves in a field either. These were people, similar to those I know today. Grooves had formed in the basalt from chariot traffic. This really hit it home to me, that people lived here. They look like fresh tire tracks in mud, as though someone had just passed through earlier today in their standardized chariot. Again: Chariots! There’s the public baths. These were essentially the gym. You had a workout area, outdoors. A cool bath, warm bath, and hot bath. A steam room with hollow walls, where hot air was pumped to warm the room. The arched ceiling was grooved, not just for looks, but to collect condensation and lead it in rivulets down the sides into a collection trough. 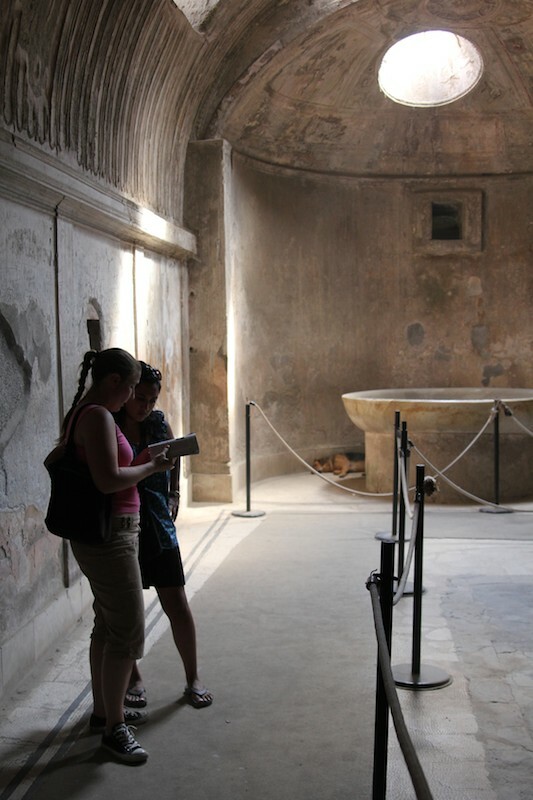 Romans didn’t like water dripping on them in their steam room, so they engineered a solution. I love it. The solid marble fountain in the steam room had inscribed into it the name of the sponsor (the guy who paid for the fountain) and the amount he paid for it. We saw these public proclamations in a few places around the city: the central plaza, the amphitheater, public water fountains. These men wanted recognition, so they put their names on a plaque — just like today. A few things were different from how it is in the states. 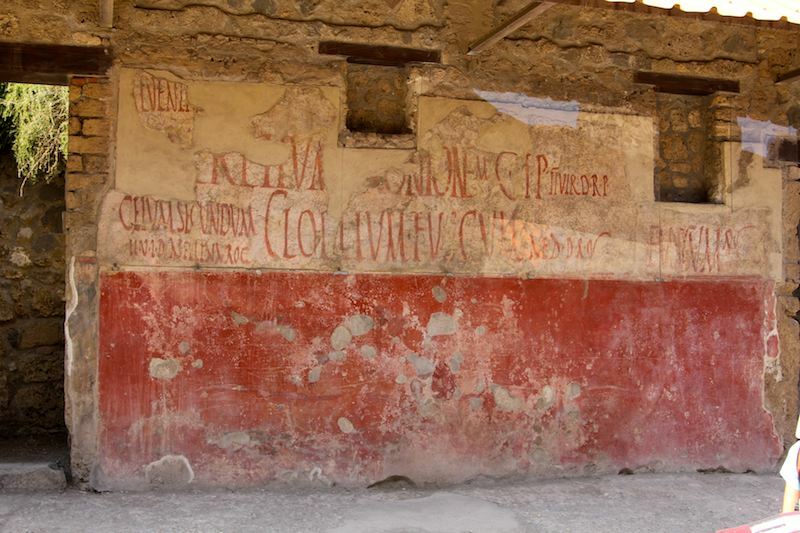 A few blocks from the “Cavec Anem” House (“Beware of Dog” house, named for the detailed floor mosaic in its entrance that shows a dog and the words ‘Cane Avem’), in the “nice” neighborhood, is one of the thirty brothels in Pompeii. It’s sits on a street corner, near a bakery, just like any of the other local vendors. 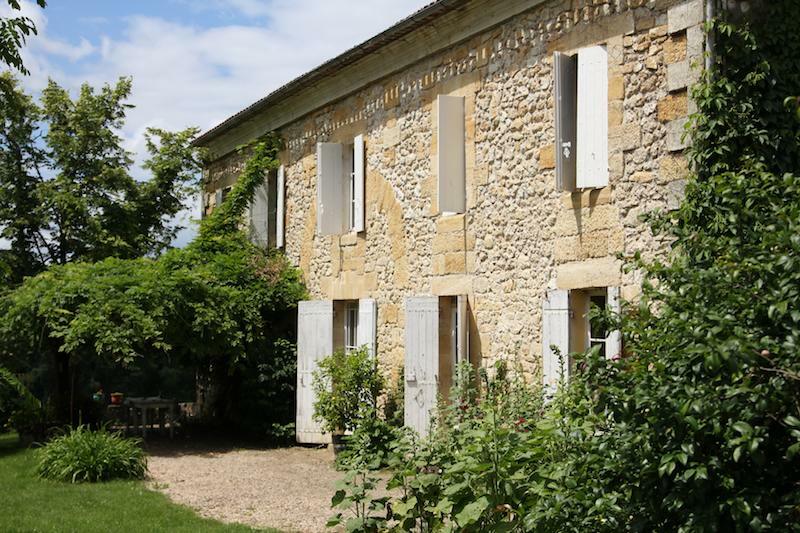 You enter to a hallway with five small rooms, each with a bed made of stone, complete with stone pillow. Above the doors are illustrations of various sexual positions — a kind of menu. The women are large and pale, and the men trim and a dark red (supposedly this indicates the men are horny). There’s even a little toilet at the end of the hall. There’s tons more: three different water systems that could be shut down in order of importance (most important: the public fountains); the home of the rich brothers, with the marble safes permanently affixed to the floor; the ornate table inscribed with the name of one of Julius Caesar’s assassins, likely sold at auction after he was executed and now here in Pompeii; fast food restaurants with holes for pots and a groove in the doorway where an accordion-style door was run when the shop was opened and closed; the amphitheater, still standing (I walked through the center and imagined the thousands it could hold); the handwritten signs in Latin, red ink on the walls of shops; brass water taps in the shape of a bull’s head; grand marble columns “faked” with brick and plaster (people were trying to save a buck, even back then). It all adds up to the realization that ancient people and modern people are strikingly similar. Though we’re separated by the ages, we share so much of what makes us human. They had families and jobs and loves and problems and lines at the DMV and all the other pieces of a life. We have a few niceties (hygiene, human rights for more people, all that science) but the basic needs (waste removal, water, economy, governance and order) are the same, and being met in essentially the same way. It makes history more relatable. 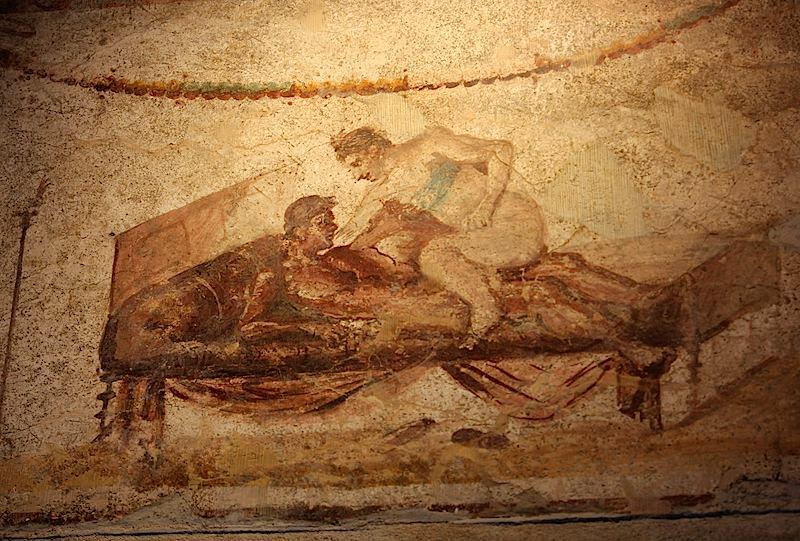 At Pompeii, you go beyond simply “being there”, like an intruder in an idealized imagined past. I drank water from their bull-head taps, walked their streets, and visited their homes. For a few hours, I lived in Pompeii. Saturday morning we were up early-ish to feed the chickens the slops leftover from dinner last night in the restaurant. We haul two five-gallon buckets up the hill to them, then dump this old food into the center of their pen. The chickens flock to this stinky pile, pecking at it, walking over it, having a grand time. They seem to prefer rotten tomatoes and old bread, but dislike eggplant. In return, we collect from them five eggs. It was raining, so Halbe and I wore our waterproof jackets. We discovered a more appropriate name would be “waterproof for two hours” jackets. From the expansive garden we harvested tomatoes, carrots, and chard. All were used in the dinner that evening for the 40 or so guests and workers eating. Our work done, we retreated indoors. We wrote a few entries for the site, read. I finished a silly mystery novel, and Halbe practiced piano. We read a few Roald Dahl kids poems to each other. We had lunch with Grasiella and Sylvia, two of the women who work in the restaurant. 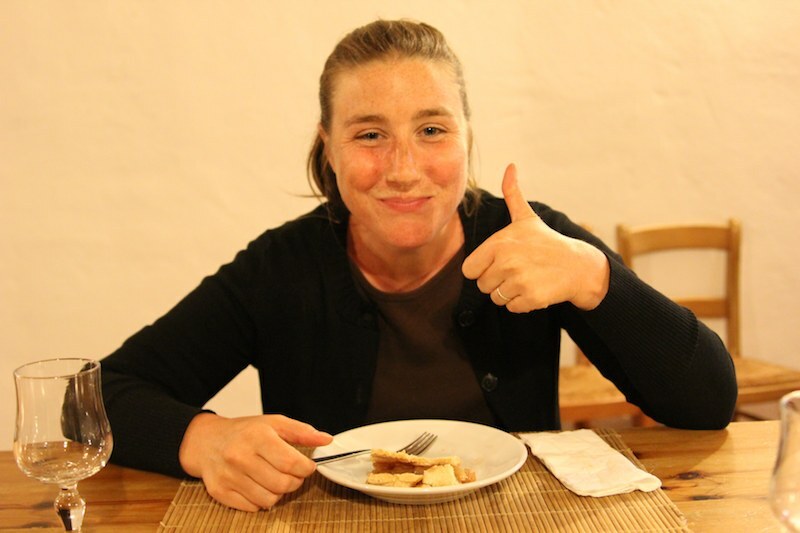 Grasiella is Italian and speaks zero English. We learn a lot in attempting to speak with her. Sylvia is from Argentina, so she and Halbe talk in Spanish, while Grasiella and I watch, then Sylvia translates into Italian for Grasiella, and Halbe into English for me. 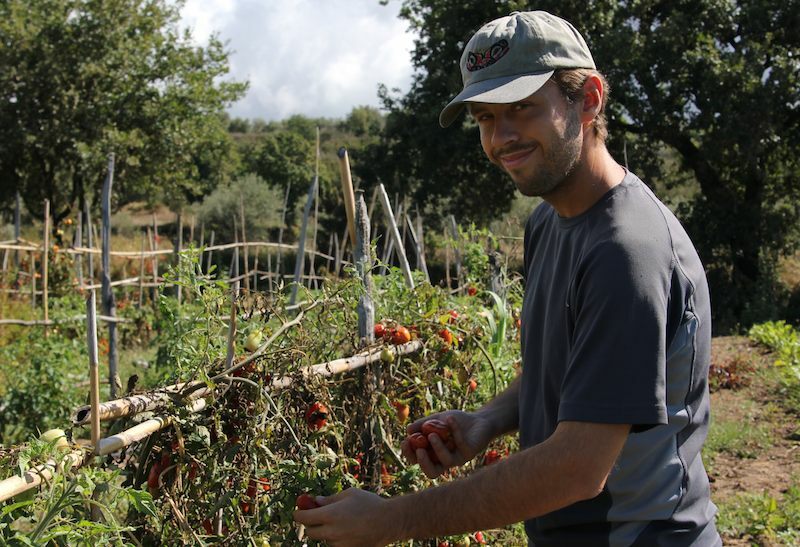 We head out to the field again — I harvested the wrong kind of tomatoes in the morning. I’m pointed to the correct row, and begin the second tomato harvest for the day. They need a particular kind to prepare their tomato sauce (salsa pomodoro). Dinner was pasta with a thick pesto sauce. Secondi (second course) was fuori di zucchini (fried zucchini flowers) and a green patty of some sort with cheese in it. Desert was hands down the best gelato I’ve had — Italy or anywhere. It was nocciola (hazelnut) with a touch of chocolate. 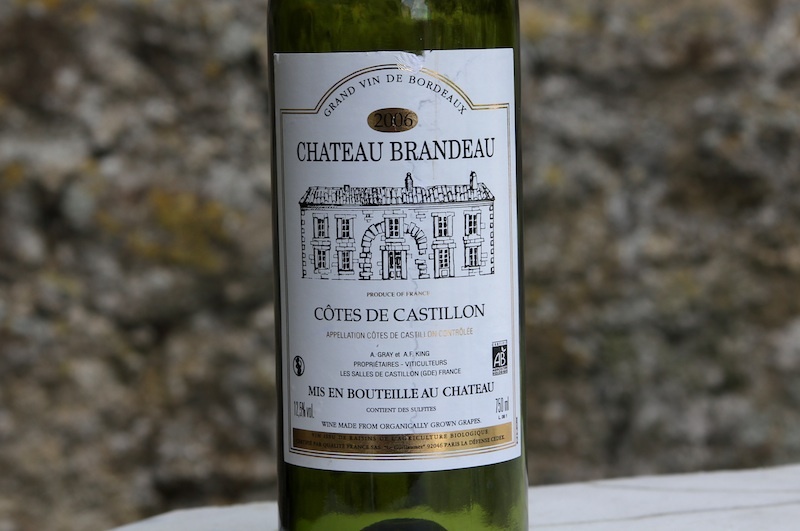 Smooth as taffy, creamy, not over-sweet, packed with flavor but not overpowering. 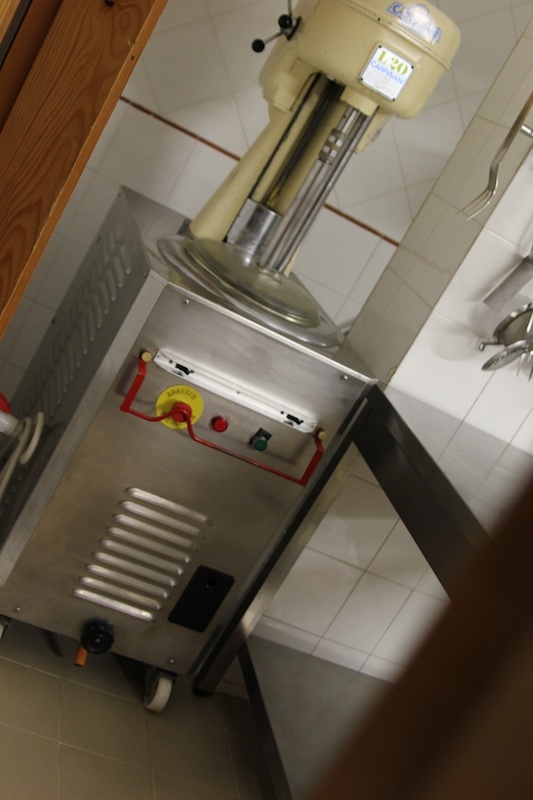 The gelato maker is an industrial machine that would look at home in a wood shop classroom. Like in ice cream preparation, the ingredients are cooled while being turned, forming the pliable, frozen material. With gelato, there is the additional step of continually stirring and crushing the material, creating that exceptionally smooth texture. 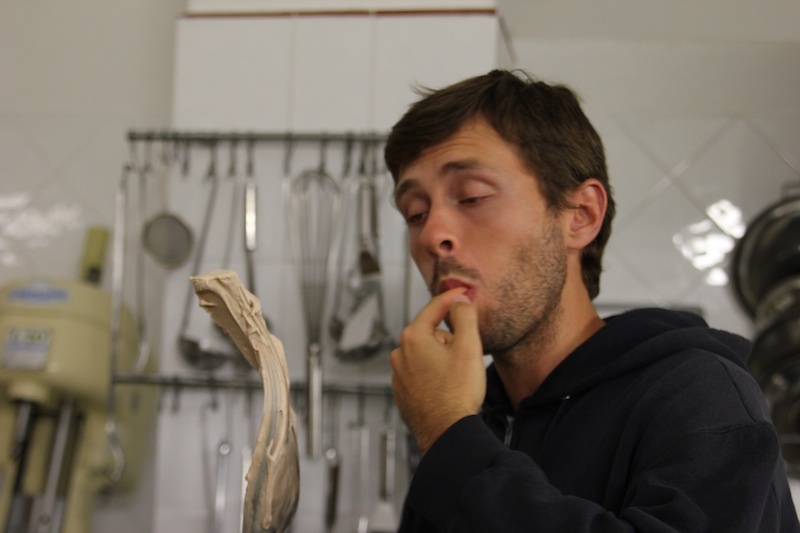 Here I am, eyes half-shut in ecstasy, as I sample the gelato straight from the solid brass and steel blade/beater used to do this crushing and mixing. I’m thinking of getting one for the home. Seriously. After eating our meal, we help clean up the kitchen, then head for bed. Sunday began in the same way: chickens, light chores, weed pulling. It’s Sunday, the traditional day off. We hadn’t received any direction from the hosts, who were out of town, so we took it easy. Halbe packed a bag for the beach, and our host’s brother drove us down to the beach in Zambrone called Marinella (little marina?). Gorgeous beach, and just a handful of people. We swam in the Mediterranean and continued the futile efforts to tan our pasty torsos and thighs. The return trip to the house was difficult. Probably due to some communication breakdown, we understood the instructions from our host as “take the first left to get home.” So we took the first left. We began the long hike up from the sea to the hilltop. Forty-five minutes and several kilometers pass. We don’t recognize anything. We’re dripping with sweat, hungry, and only a packet of Saltines between us. It’s clear we’re lost. So what do we do? We keep going. Who knows, right? Maybe it’ll work out. Eventually we get to a vista where we spot, in the distance and on a different hill, a radio tower that we think may be same radio tower we vaguely remember from the night drive when we first arrived here, a week ago. We ask directions but, unfortunately, everyone is speaking Italian. The Saltines are gone now. We decide to walk back down the hill to the beach and try to find a road that can take us up the radio tower hill. We find the road (fourth left, for the record), and it’s steeper than the last. The sun pounds down. The refreshing beach and sea are a distant memory (did I mention we’re still in our swimsuits?). We slog up this hill over the next hour. And, eventually, we make it back, take cold showers, and collapse into our beds. But the day wasn’t over. 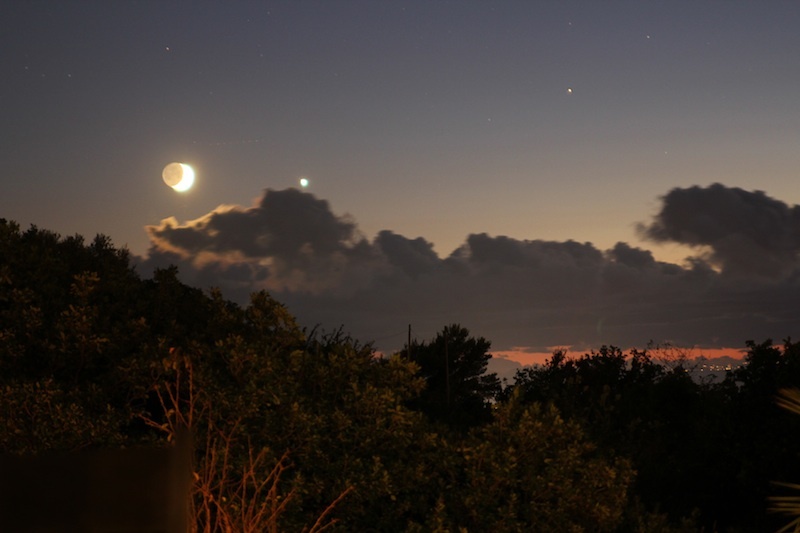 A gorgeous crescent moon poked over the horizon, and a bright planet floated nearby. It was dinner time, and the staff were taking the day off (Sunday). It was just Johnny, the host, to cook for the 10 guests, and Halbe and myself to help him. I loved it. I’m living my dream of working in a restaurant. Johnny is a cheerful guy with decent English. We practiced our limited Italian and shared stories as we plated and served the meal (faije pasta with creamy pomodoro, salad with sesame dressing, thin-sliced veal with an incredible brown sauce, pastries for desert). We drank Birra Moretti (Italian beer) as we worked, and the laughs were plentiful. Johnny particularly liked our story of the six men trying to help us read a bus schedule in Tuscany. Around 10, as the last guest drowsily pushed away from the dinner table, we finished cleaning and bid “buono notte” to the kitchen. Bodies exhausted, minds baked, and skin humming red with sun kisses, we tumbled into bed. We were asleep in minutes. Waiting in the hot sun in the line outside the Academia in Florence, you begin to wonder if seeing the statue of David is really worth it. You’ve seen the pictures and you’ve studied him in class. Can seeing it really be that big of a deal? I am here to tell you that yes, it’s that big of a deal. Walking into the museum you enter into a room with walls displaying alters and other art. You skip it because really, you’re there for one reason. Going through the door into the long hallway, you see him. Seventeen feet tall, he’s perched on his pedestal eyeing Goliath and holding the stone which would make him famous. The sight stops you in your tracks. He is the perfect man: strong, handsome, confident but not cocky. Frankly, he’s hot. You look in the guide book, learning secrets of the statue. It tells you to look at his large hands (large, for they carry out the will of God), see damage to the left foot from when frustrated artist attacked it with a hammer in 1990, and look at the depth in his eyes. The book instructs you to walk around the statue and appreciate the incredible detail Michelangelo put into his creation. Look at the perfect man’s rear end? This is “art appreciation” I can get into. But does it deliver? Yes. Yes it does. 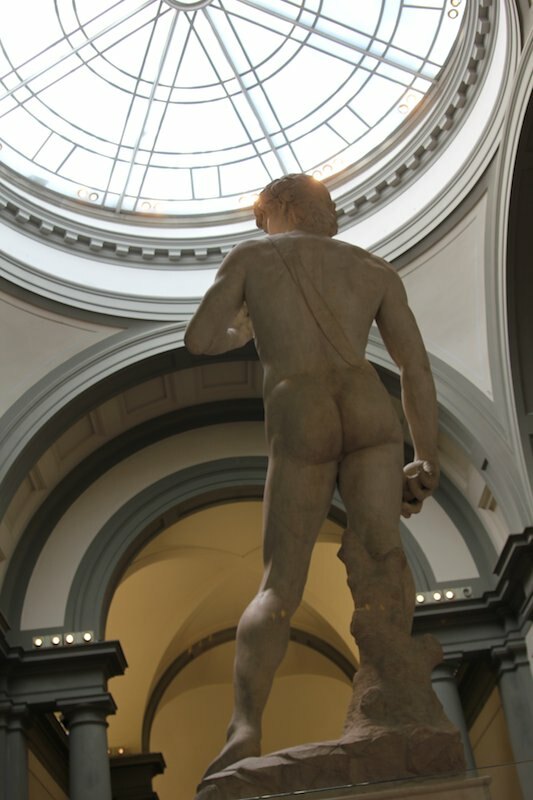 When you go to Florence, go to Uffizi, go to the Duomo if you need to, but please, leave time for the other side of David. 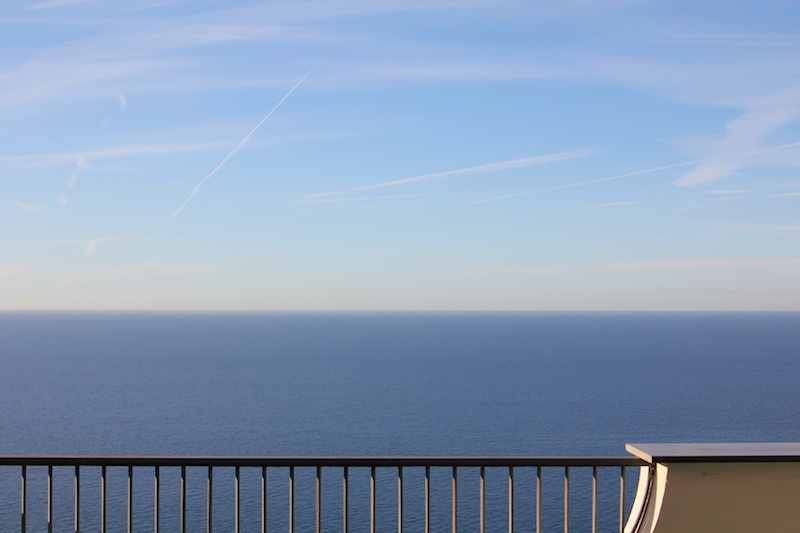 Amalfi coast – you think of breath-taking views, houses perched on the hills and beautiful teal blue water. What you don’t think of is the ride out there – a bus that practically takes up the entire road. 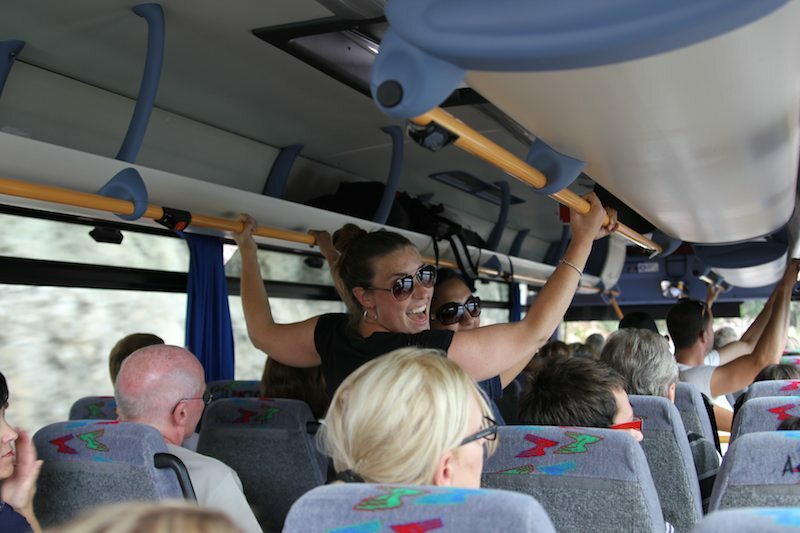 Each bus is filled with dozens of tourists with dropped jaws and conflicting emotions toggling between amazement and acute fear. 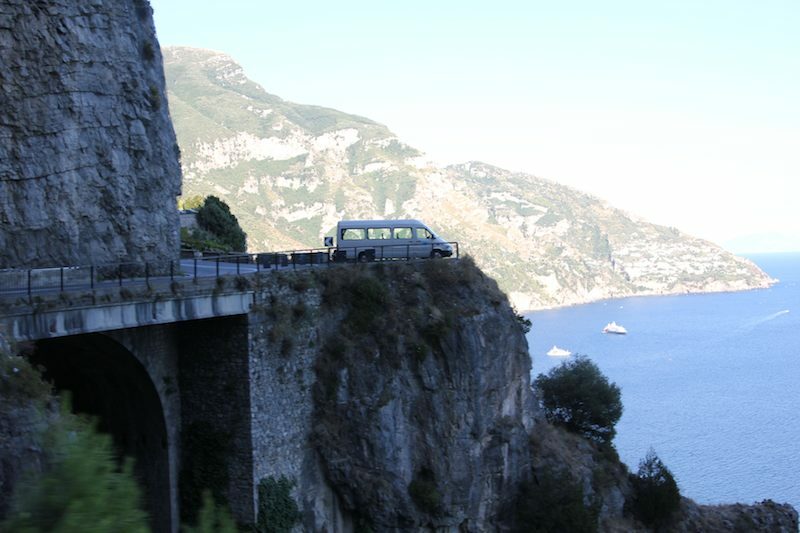 The Amalfi coast has one road connecting all the small towns which was not built with mass tourism in mind. Looking out the window, the 3-foot tall wall separating us from a deadly fall, disappears. All you see is a sheer cliff ending in the Mediterranean Sea. It’s as close as you’ll come to flying. The driver of each bus takes their job very seriously and is talented. As they slowly, and I mean slowly, pass one another on a curve, they have secret hand signals indicating who’s going where and how they’ll make it past one another. Going around each twist and turn they honk 5-7 times alerting all other drivers they’re taking over the road. They squeeze through spaces so small I could practically touch my nose to the side view mirror of the passing trucks. What I kept thinking? L.A. and New York bus drivers have no idea how easy they have it. Behold, the finished staircase! 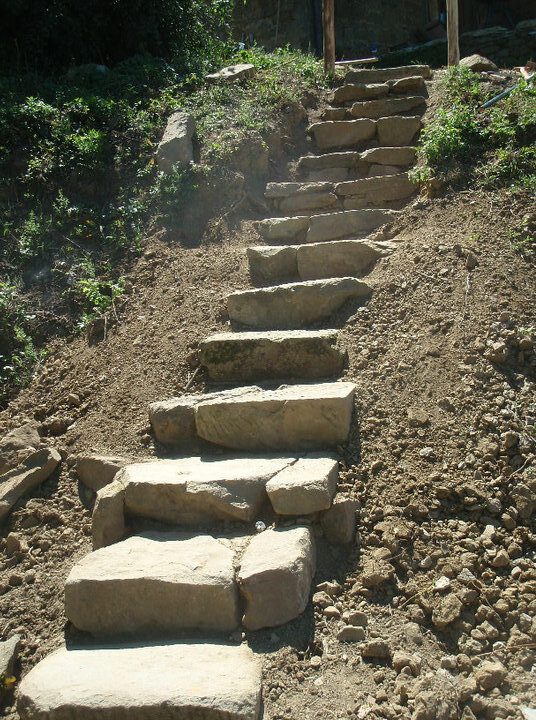 Over a metric ton of stone, set in sockets carved out of bedrock, all with hand tools, ingenuity, and honest sweat. Until the art grant comes through for my forty-foot equestrian self-portrait, this may be the most permanent thing I’ll ever have worked on. Fellow HelpX-er Jonathan is responsible for steps 7 through 12. 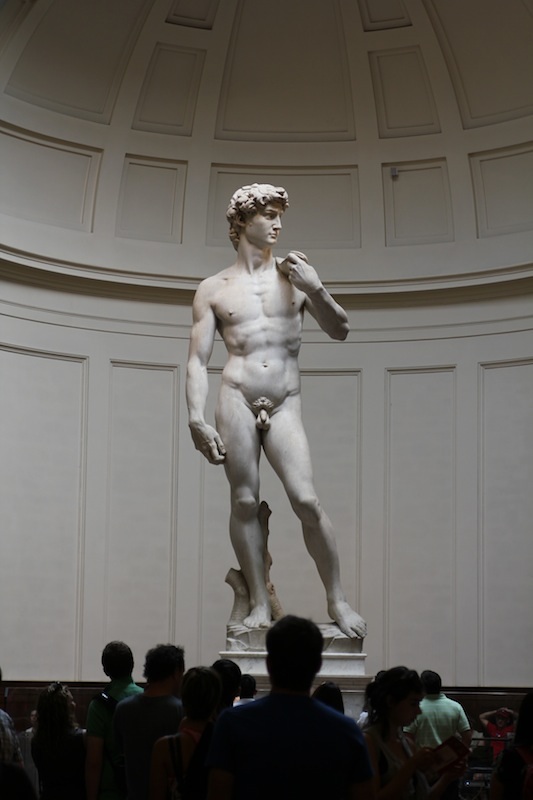 He described his sculptor’s task as “a pain” (bedrock and an angle grinder were involved) but ultimately worth it. 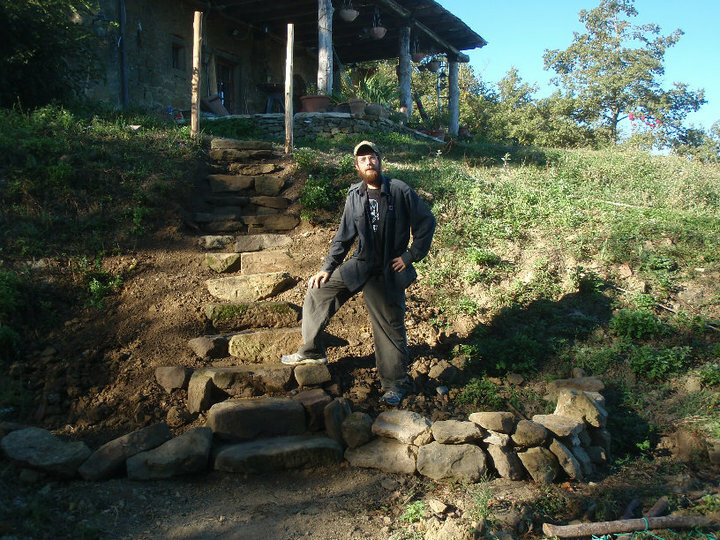 He reports the staircase has also survived its first major rainstorm (we were worried the steps might just slip down the muddy hill), so it may end up servicing the needs of our Umbrian host and guests for many years. 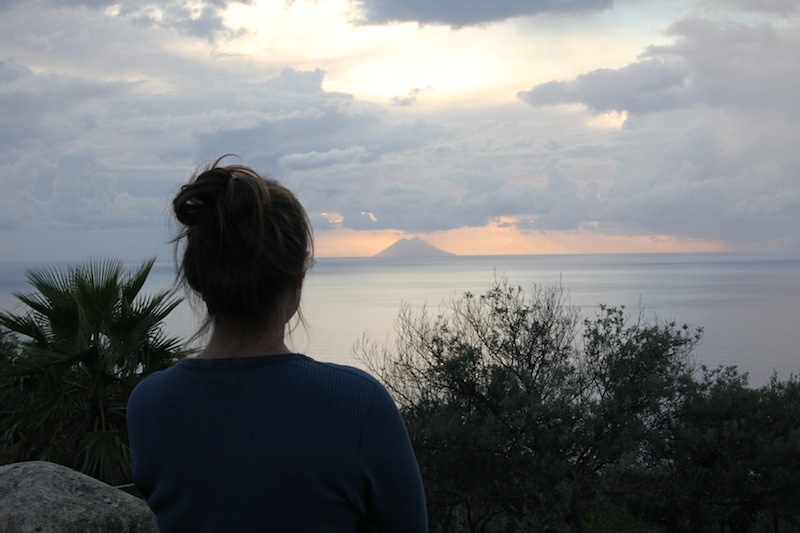 We’re taking a break from the helpin’ and the workin’ to enjoy one of the most striking parts of the world: the Amalfi coast. Above is the view from our apartment. We’re in Praiano, a small-ish fishing village between the bustling ports of Positano and Amalfi. 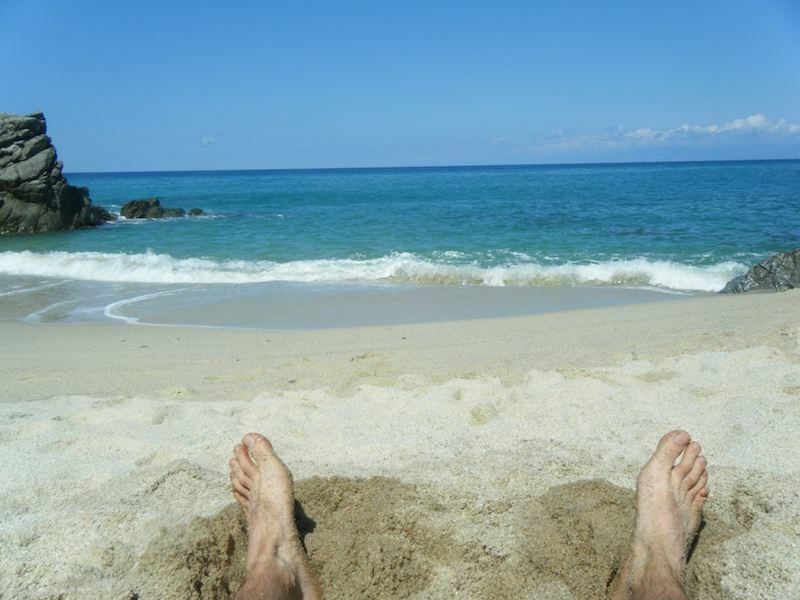 Pompeii is tomorrow, then Calabria (a.k.a., “the toe of the boot”) on Tuesday for our final worksite. 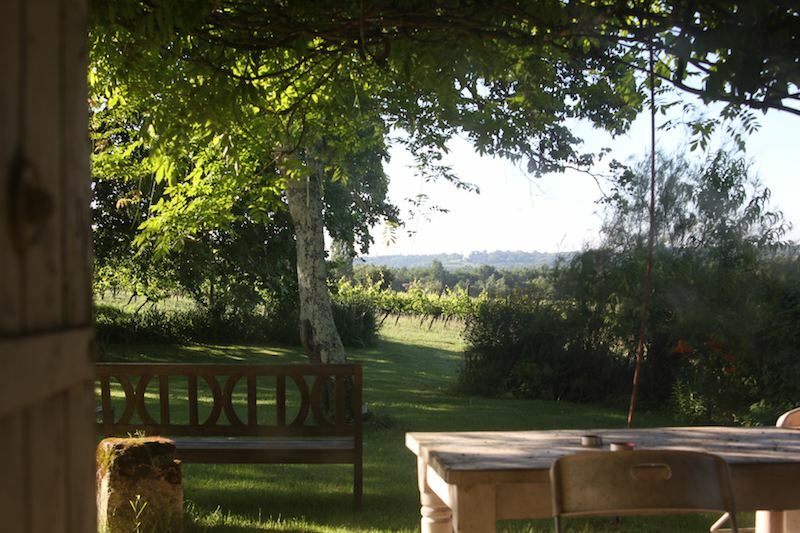 The host runs an agriturismo business, and we will be helping in the on-site restaurant.